It’s the age old question: Should you lease or buy? Let’s look at five reasons to lease a forklift rather than buying one. 1. You don’t want the paperwork associated with owning a forklift or fleet. Leasing offers end-of-term options that owning does not. 2. You want the latest, state-of-the art forklift model. Leasing makes having a forklift fleet filled with the latest in safety and technology much easier. 3. You want flexible options in case needs change. If you expect your business to grow, shouldn’t you have a fleet of forklifts that can grow with it? 4. You want to preserve cash. Leasing offers lower monthly payments compared to buying. 5. You only need a forklift for a short time. Leases can be as short as one to two years, without a long term commitment. 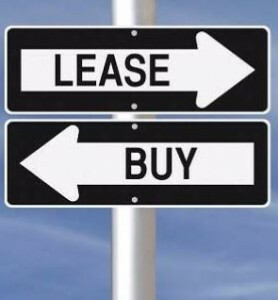 The lease vs. buy debate is one only you can decide. Ask yourself the important questions about your finances, your business and your future. Also, contact us to discuss various leasing and financing offers and help yourself by getting help from the professionals. Request A Quote or for pricing, parts & more.